Episode 87 – Ben Craven and The Section Live! The eighty-seventh episode of the Yes Music Podcast featuring a fantastic live session from Aussie Prog Rock heroes, Ben Craven and the Section. This is the audio from our recent Google Hangout On Air experiment which has been properly mixed and edited by Ben himself. Some listeners managed to catch the video live but this sounds so much better. Ben’s done a fantastic job and the band played brilliantly despite the late hour! Many thanks to them for this great session! Our ultimate aim is to set up and run a full, progressive rock virtual festival with bands from across the globe. Watch this space! Author KevinPosted on May 31, 2013 October 10, 2016 Categories Episodes, YMP Classic FeedTags 11ty1st, Alan White, Ben Craven, Geoff Downes, John Starlock, Ken Fuller, live, Paul Wilson, Steve Howe3 Comments on Episode 87 – Ben Craven and The Section Live! 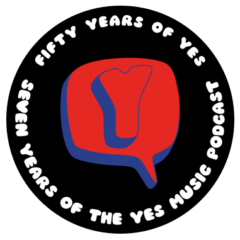 The eighty-sixth episode of the Yes Music Podcast featuring Yes websites. Listen and then let me know which websites I’ve omitted by contacting me via any of the different routes on the right hand side or by leaving a comment below! Where are the Yes official Internet sites? How did the Yes web presence develop? Live, virtual Ben Craven concert a first for Prog Rock? Ben Craven and the Section in association with the Yes Music Podcast are planning what we think is the first ever live, Progressive Rock session to be broadcast live on the web via You Tube Hangouts On Air. The event takes place this Saturday, 11th May 2013, at 2.00pm UTC. An unlimited number of prog fans can watch on the Yes Music Podcast YouTube Channel as the top Aussie outfit play live from their studio in Brisbane. The session is also being recorded in full-quality audio to be released as an episode of the Yes Music Podcast shortly after the event. Join us for the prog rock event of the decade! Assuming the technology doesn’t fail us, why not tune in on Saturday and witness the dawn of a new, virtual era for progressive rock? We’d love to see you there! Author KevinPosted on May 7, 2013 Categories Blog postsLeave a comment on Live, virtual Ben Craven concert a first for Prog Rock?